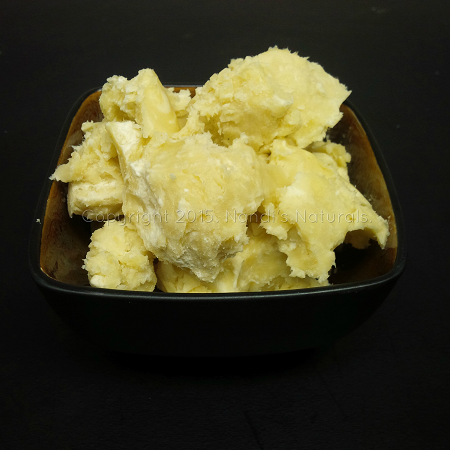 ^Shea butter possesses so many magnificient qualities, making it one of the most popular butters used by crafters, DIYers and the beauty industry. Shea butter is said to be high in vitamin A and E. When it comes to moisturizing and conditioning irritated skin, shea butter is the butter of choice. 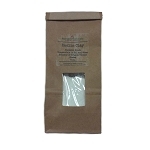 It is ideal for use in body butters, soaps, lotions, creams, healing balms, lip balms and salves. Our shea butter is unrefined, unfiltered and beige in color. We suggest running through a filter prior to incorporation with other ingredients. Tips to prevent graininess or crystalization: Contrary to some of the advice given around the Web, shea butter should be heated as little as possible and cooled as quickly as possible. I suggest heating other ingredients that might be in solid form or require heat, and then little by little adding these items to the shea butter. Cool down as quickly as possible afterwards. If your shea butter arrives already grainy or crystalized, you can heat just until melting and then quickly cool it down. Keep it in a cool, dry place to also help prevent this from occurring.